The Christmas launch from Giorgio Armani Beauty this year takes its inspiration from light painting. This is a technique photographer’s use in which long-exposure photographs are taken in a dark setting whilst a moving light source to highlight. The chunky oval palette has two tiers: one for eyes and one for your base. 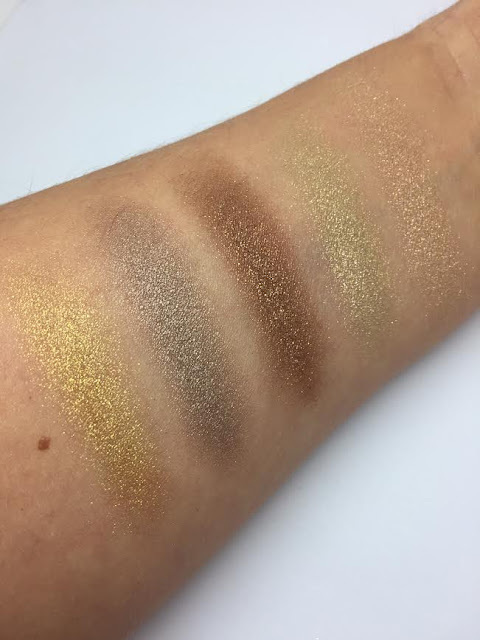 The eye palette holds a host of beautifully shimmering gold’s and bronze and also some ashy and warm toned mattes. The matte shades are the perfect tones to create a natural contour with and there are shades among these to suit all skin tones. The shimmering shades can then be layered on top or patted onto the high points of the eye to lift the skin and add a pop of shimmer. The shimmering shades are made form a high-pearl simplex technology, which produces a soft, blendable finish with a velvety texture. They create a seamless blend with zero fall out and an intense pigment. I adore the matte selection of shades and also their texture. They don't feel like a matte and they don't blend like your classic matte finish either. They feel satin to the touch and almost cushioned. They use a new formula, which binds water within the powders to ensure they don't feel drying or cakey on the skin. The second tier holds a luminous silk powder which Armani beauty state is a universal shade. 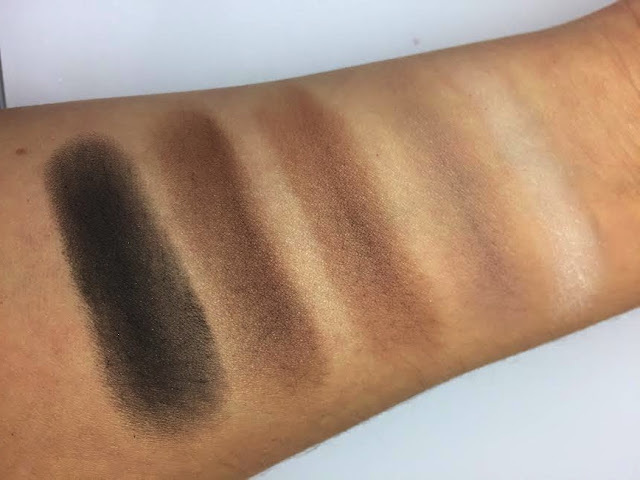 It's not really a universal shade because it would look ashy on anything darker than an olive but it would fit for most yellow based fair skin tones. The powder creates a sheer natural matte veil on the skin to blot away ant excess shine and even the skin. There are also to slithers of Maestro fusion cream foundation which could be used to spot conceal. It doesn't state what these shades are but I'm guessing they are about a number 2 and 3. Again good for a light to medium skin tone. A really nice palette for Christmas for someone who appreciates quality texture and great pigment. Not really suitable for very light or darker skin tones.